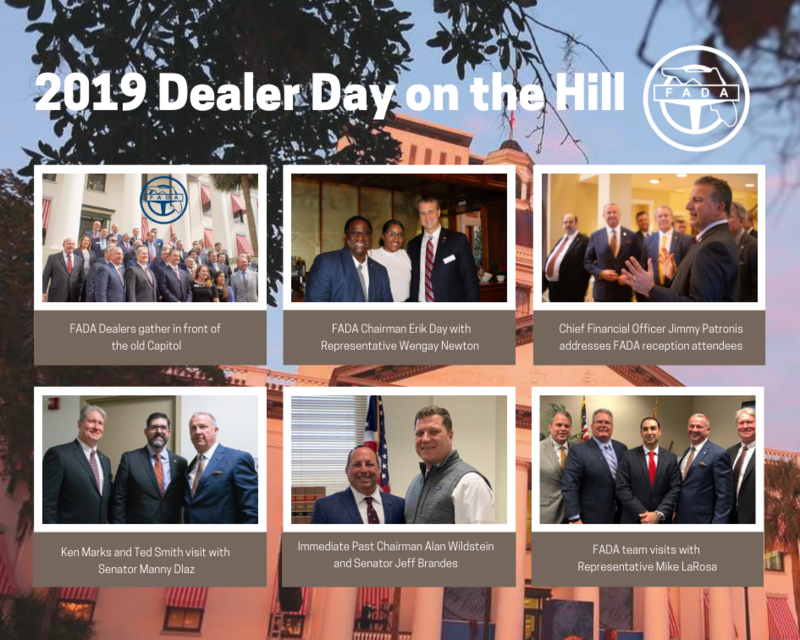 Why should you consider attending FADA’s DEALER DAY ON THE HILL?  There is no one with more clout than FADA when we join together on Dealer Day! 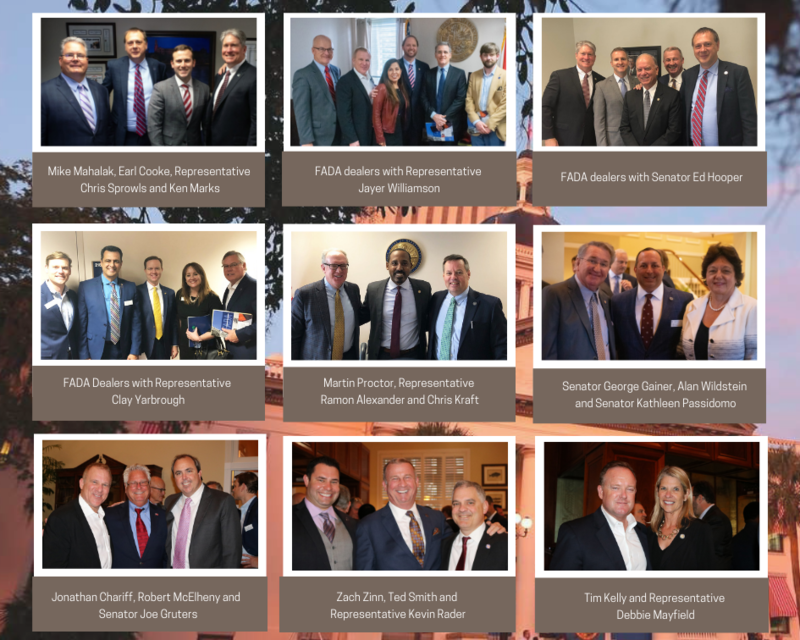 FADA’s collective presence during DEALER DAY ON THE HILL is persuasive and impacts every legislator. In fact, it continues to impact them for the balance of the Session. When dealers participate in DEALER DAY ON THE HILL, we brief every dealer and send you in teams to meet with specific legislators. When these legislators see the passion and hear the reasons for a bill from a local dealer, this creates a momentum that is unstoppable. Yes, we have a great staff and lobbying team covering all of our bills, but the presence of local dealers reminds legislators why these bills are important to their constituents where the legislators live, work and get elected.